A new Cartoonista is crowned during Pasadena Art Night exhibit! 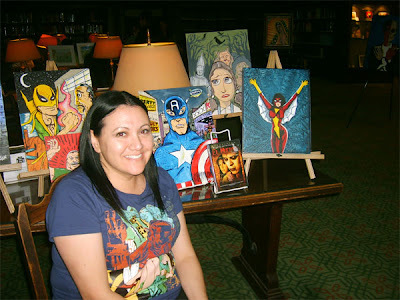 Friday evening's ART NIGHT at the PASADENA CENTRAL LIBRARY was so much fun, I could have easily gone another couple of hours! These truly are the opportunities an artist hopes for, if one is interested in these types of events! Enthusiastic crowds, a venue to showcase your work and promote various things you're associated with, meeting some very supportive and interesting people, etc. 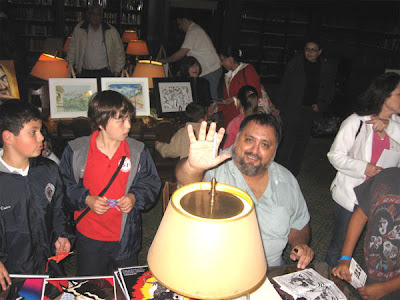 The Library had numerous exhibitions and events that evening, as part of their participation in the city-wide ART NIGHT, many of them with a Latino theme (music, folkloric dancers, etc). 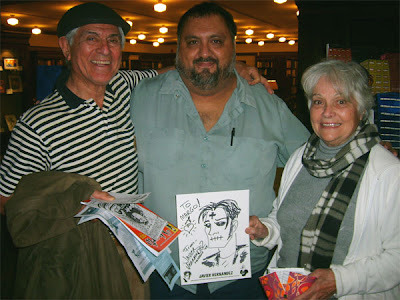 For their spotlight on Latino Cartoonists, I was invited to attend along with Jim Lujan and Grasiela Rodriguez (both fellow Cartoonistas), and animator/cartoonist Raul Aguirre, Jr. (who started out the evening NOT a Cartoonista!). Like other library events I've done, I always look forward to meeting the young and old and everyone in between. 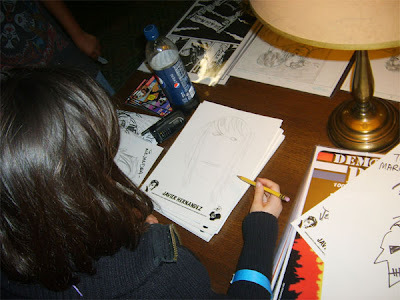 There was a young girl who, after I talked to her about what I do, asked me if she could sit down and draw as well. I was talking to her mother about how it's great seeing kids draw and even more important that their parents support them. The little girl took her time drawing a face, really working at sketching out the details and making it 'just right'. I like how she was attracting her own crowd. At times, I would end up drawing for about 5 or 6 kids in a row. 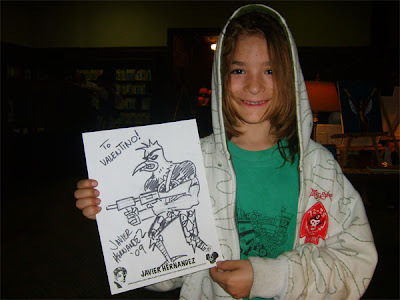 Most were happy to receive an EL MUERTO drawing, although some opted for a WOLVERINE or something else. At one point a mother came up to me and thought I had said I was tired of drawing and so told her son he couldn't get a drawing! Well, the little boy was very upset and so his mother wondered if I could possibly draw him something. I felt terrible that they had left in the first place, as I didn't intend to turn anyone away! I asked the young man he could have any drawing he wanted: Spider-Man, Batman, even El Muerto if he wanted. Well, to my complete and welcome surprise, he wanted, a DEMOLITION DOVE drawing! He had seen one of the color prints I had of that character (who has only appeared in one preview book I've done so far!) and really dug the cyborg Dove-turned-commando! Well, as happy as I was that he picked that, as I was drawing the picture I would look up at him and see he had the most enthusiastic smile lighting up his face! That's priceless, I tell you. To say the least, he was very happy with the drawing! drawing for his daughter, and he promised to send me a CD of a musical piece he had created. He introduced me to his wife, Adelita, and we all happily posed for this photo, with me telling everyone "Hey, Ray just adopted me!". These are the type of interactions with people you don't usually expect, but that's what makes these events more than the standard 'show and sell'. Which I don't mind doing at all, but some rich human interactions are pretty priceless. 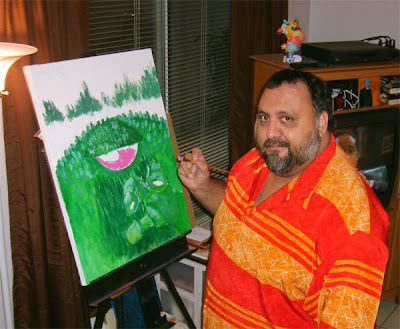 Raul Aguirre had several of his newest paintings on display and spent lots of time drawing for everyone. This guy's a real people person. 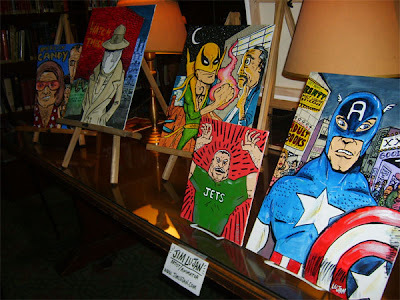 Jim Lujan was well represented by a slew of new paintings he created just for this event. I love the old school superheroes, and I love Jim's art style. Combine the two and you get some real great looking pieces. C'mon, check out that IRON FIST!! Amidst all this hoopla, I asked Jim to pencil one of his characters for me to ink later. He inked one of my sketches a short while ago, so now I'll be returning the favor. I'll post the inked piece here later this week! Grasiela also had several new paintings debut here (although none of us seemed to have taken any pics!!). Here's Gras sitting by a collection of some of our work. 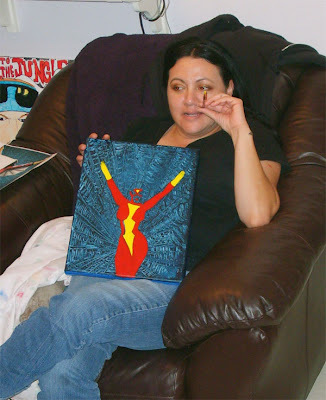 Amidst all the Jim Lujan luxury items are her Spider-Woman painting and my EL MUERTO DVD (she placed that in there!). I actually sold a lot more comics than I anticipated. What really struck me was that most of the sales were to kids, about 8-10 yrs old, boys and girls. Previous experience has told me that while my books aren't specifically created 'For Kids', the appeal of the character, at least visually, has pretty strong appeal. In an age where NIGHTMARE BEFORE CHRISTMAS and X-MEN movies seem to be in many kid's homes, perhaps kid's can be exposed to a little more than Sesame Street level content? 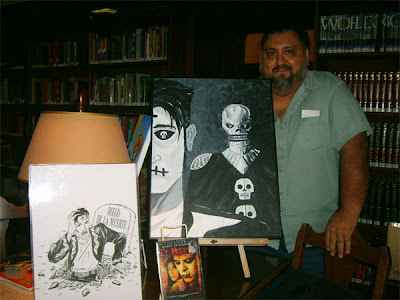 Of course, I can already see a couple instances in my next book, EL MUERTO:DEAD & CONFUSED PT. 2, that will probably test that theory! 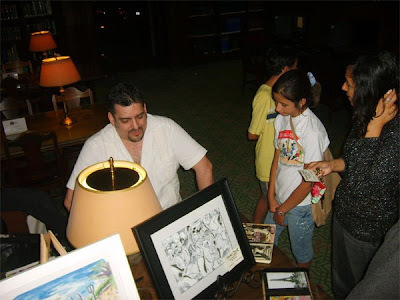 Well, besides me analyzing my own market appeal, the other significant event of that wonderful evening was near the end of the exhibit, Jim Lujan formerly invited Raul to join the Cartoonistas. Raul was more than happy to join, and I declared to the remaining patrons there that they had just witnessed a secret initiation ceremony that most humans will never see! Who makes a good CARTOONISTA? Well, Jim and I, as Co-Founders, have some pretty particular criteria. Moreso now, having built this organization from scratch over the last 12 months. Now that we have an exact idea of the crowds we attract and venues we display at, we are committed to keeping this a tight group of like-minded individuals with what we think is a perfectly suited art style and aesthetic for the group. Building this Cartoonista group with Jim and Grasiela and others has been one of the most rewarding things I've done as an artist, and the response we've received from the communities and organizations has proven our dream. And we're not done dreaming, either. This is an ambitious group! Thanks to all who came out to see us,thanks to Nick Smith and the wonderful staff at the Pasadena Central Library, thanks to my fellow Cartoonistas and thanks to Enrique Diaz and the Nuvein Foundation for all the support they've given us! 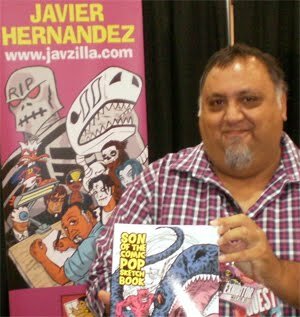 Jim Lujan has more pics (and a video!) at his blog and on the site. Labels: Cartoonistas coronation, Pasadena Art Night, Raul Aguirre Jr.
Friday 13th: Lucky night for Pasadena! A stroke of good luck has befallen Pasadena, CA this Friday the 13th. 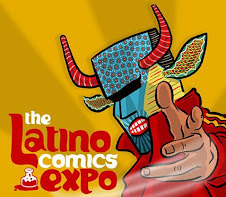 ART NIGHT PASADENA returns once again and the Central Library is hosting a 'Latino Cartoonists' exhibition as part of their participation. 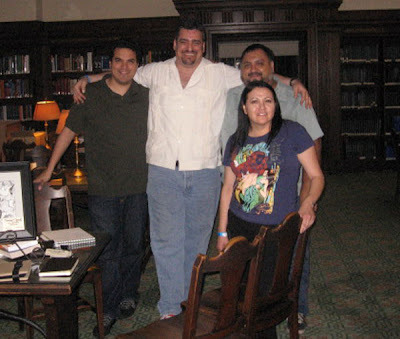 I've been working with the Pasadena library system for years and I'm always glad to be invited back. This city is really dedicated to promoting art, culture and literature to the community. Their website states that there's a library within 1 mile to every citizen! Last time I was at the Central Library was back in October 2008, when the CARTOONISTAS staged a Live Art event during the last Art Walk. 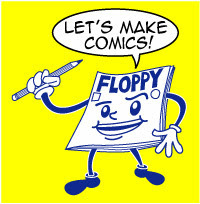 This time, while not an official CARTOONISTA event, there will be some representation! Besides myself, CARTOONISTA Co-Founder JIM LUJAN will be debuting a slew of new paintings, Grasiela Rodriguez, the Iron Lady of the CARTOONISTAS is also exhibiting, and we'll be joined by animator/cartoonist RAUL AGUIRRE, JR., a tremendously talented and jovial person. If you want to see a lot of great art that evening, check out the events that evening and don't forget to swing by the Central Library to pay us a visit. We'll be there from 6pm-10pm! 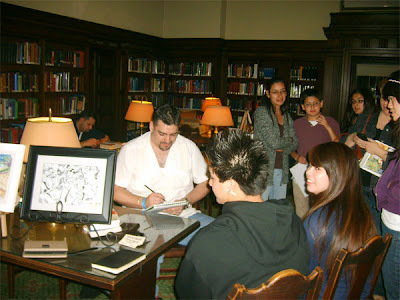 Labels: Latino cartoonists, Live Art Pasadena Central Library, Pasadena Art Night, Raul Aguirre Jr.
My new tattoo designing career! Here's a brand-new tattoo design I was commissioned to create. 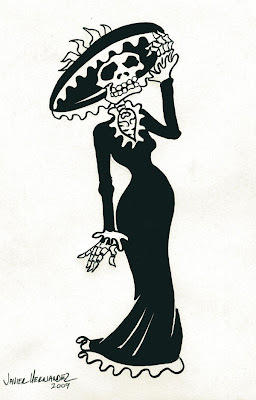 It's La Catrina, the 'elegant lady' from the Dia de Los Muertos folklore. 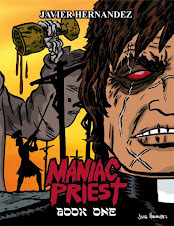 About a year ago, I sold some Muerto comics to a person in Canada, and recently this same reader asked if I would create a piece of art to be used as a tattoo design. We tossed around ideas and settled on this image. After submitting a rough to the client, I then got approval for the final art. I'm sending the original art via mail tomorrow. This was really fun to work on, especially knowing someone is going to have this displayed on their body! And I really like the simplified, iconic nature of the piece. I inked this using Faber-Castell PITT Artist Pens (brush marker B & F). Something else to further explore in the future. Like I've mentioned many times, I look forward to creative expressions in various venues. Tattoo's are yet another. 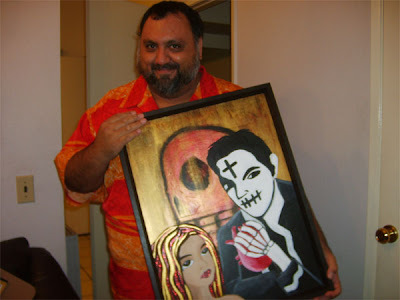 By the way, somewhere I have a photo of a fan of mine with an El Muerto skull tattoo on their left shoulder! If I find it, I'll post it here. I really liked the film. Comedian, Nite Owl and especially Rorschach, I thought were especially well played. No slight feat for the actor playing the Comedian, as he's a repulsive character. But creating compelling characters is one of the chief goals of storytelling. The film itself? Well, I knew there was no way they could cram every minute detail of Alan Moore's brilliant script into a film, so focusing on the basic story narrative (heroes are outlawed, all have issues coping with post-crime fighter life, impact on culture, murder mystery, etc) was a logical way to go. I personally think the fight in the alleyway with Nite Owl and Silk Spectre vs. street gang was needlessly bloody (bones popping through flesh??!!). That type of gratuitous violence, obviously enjoyed by the director Zack Snyder, was much too distracting for my taste. But overall I found the rest of the film to be compelling entertainment. My favorite character from the book was my favorite character in the film: Rorschach. The masked vigilante with the black & white world view, a lifetime of personality issues and an uncompromising view of justice made the film for me personally. It's often been said by many of the years, but he's the only one in the story who actually stood by his principles. Even though he was powerless to prevent the final grand scheme, he was determined to get the truth out. We may, or may not, disagree with his brand of justice and views on life, but you can't deny the righteousness of his final act. Like any adaptation to film, there is the inevitable debate: "Why make a film out of this comic book!!!??". The best answer I could say would be for me to look at the Adam West BATMAN TV show, the SPEED RACER and SPIDER-MAN 1960s cartoons, my favorite James Bond films, the classic Universal Monster films, etc., and ask again "Why did they make films and cartoons of these novels and comics? Probably to make money and/or take the ideas to a wider audience, but in the process they made great cartoons and movies." I know I've gotten tremendous joy out of these 'adaptations', and even moreso when one can watch them 'on demand' with DVDs. Sometimes, often, they make mediocre or even disastrous adaptations of our favorite comics. But 'them' trying doesn't ruin the comic for me. Every attempt at telling a story, in film, comics, music, etc. is, on some level, a crap shoot. You may hit or miss, or you make something you like and others hate. You don't know until you try. My personal experience in having my own comic book turned into a film resulted in two things: One of the most fantastic experiences of my life as an artist, and a film I love to watch. Of course anyone can be suspect of my impartiality, but it's my experience so I'm the only one who can judge it based on my reaction to it. When it's your comic book movie adaptation, you can have your cake and eat it too. With a big glass of milk! Who drew it? 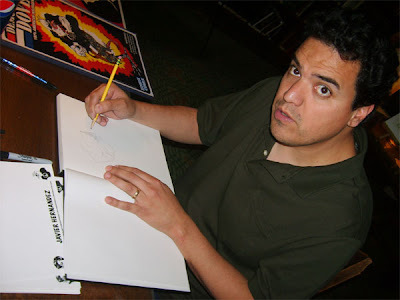 Why, my good pal, animator extraordinaire, and fellow Cartoonista Jim Lujan! Me and Jim were having lunch over the weekend, and I just point-blank asked him for a sketch of Mr. Walter Kovacs himself. One of the great things about having friends who are artists (and particularly artists you admire) is that I can freely ask them for sketches of characters. It's not like I wouldn't want a Watchmen sketch from co-creator/artist Dave Gibbons, but Mr. Gibbons would most likely have a long line around his table or have an artist fee or maybe he would be too busy. With a friend, you just ask and viola, there you go! At least, that's what I do. Never hesitant to ask a friend for a sketch. I'd gladly do the same, of course, so everybody wins! 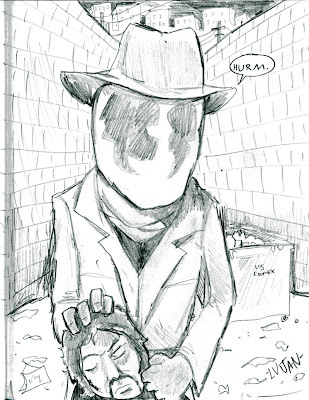 And really, Rorschach done in Jim's style? How cool is that?! Last night, I had me a great time! 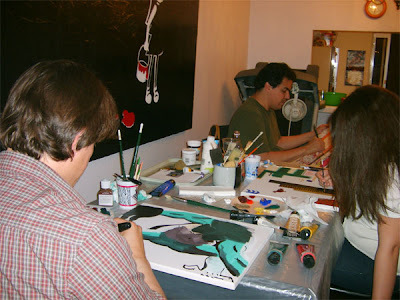 Fellow Cartoonistas, Jim Lujan and Grasiela Rodriguez, wanted to schedule some time for some of us Cartoonistas to get together and paint. Not on a jam piece, but to work on our own projects surrounded by our fellow artists. 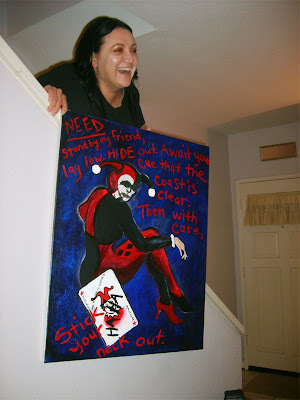 Well, it didn't take long for us to name the get-together a Painting Party! Cause when the Cartoonistas get together, it's always gotta be some kind of party! Grasiela kindly has us over at her lovely home. Jim and I were there, as well some invited guests. Here's Jim (background) working away at the dining table! 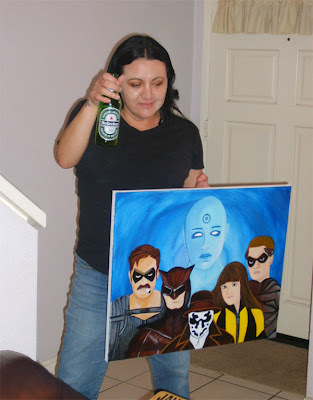 A few months back, Gras had surprised me with an El Muerto painting she made. Out of the blue, she showed me and I flipped out on how beautiful it was. Of course, I had only seen a jpeg of it. Last night I got to see it in person, and boy-oh-boy did I want to take it home! The detail in the painting gets easily lost over the internet, so seeing it in person was a great experience. One day, I may have the money to make her a decent offer, but she's rightly proud of it as it's a true original. I was surprised how much I liked the apples dipped in the cheese. Interesting taste you don't come across every day! Also, I should add that some of the folks went out for a Taco Bell run as well. 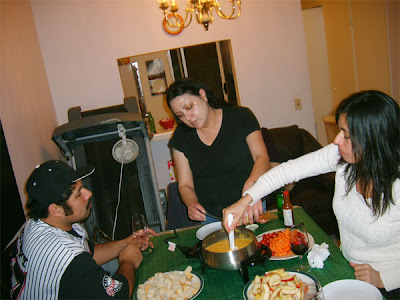 Ever dipped a crunchy taco in cheese Fondue? Mmm Mmmmm! 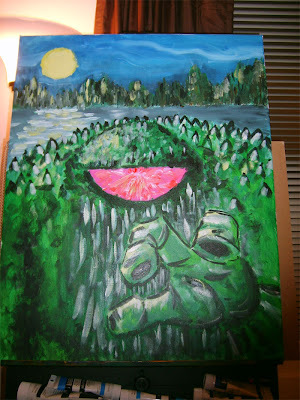 And last but not least, here's my painting of The Man-Swamp. Needs some final touch-ups, but I had fun making this that evening and it was really good to break out the acrylics again. Will be gearing up for a lot of painting in the next two months for some personal appearances as well as a two-man art show. And hope to do lots more paint parties with my Cartoonista pals and drawing jams and Live Art and eat lots of delicious food! Thanks Gras for hosting and everyone who attended!